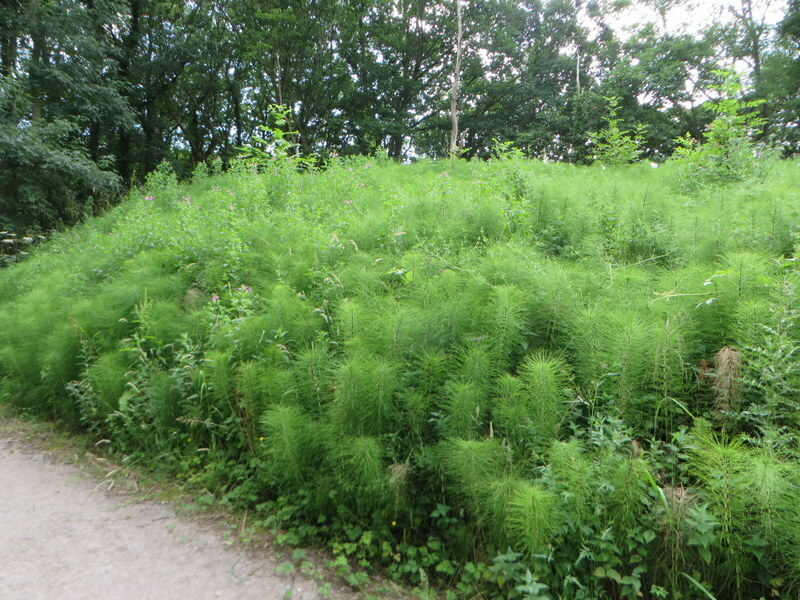 Whilst preparing for the walks in Whitecliff Wood this summer with the group from the Cleveland Ironstone Mining Museum I noticed something odd about what I’d always taken to be a large patch of Giant Horsetail but I couldn’t work out why at the time. As I was in a hurry, I took a few photographs and resolved to check my reference books when I got home. 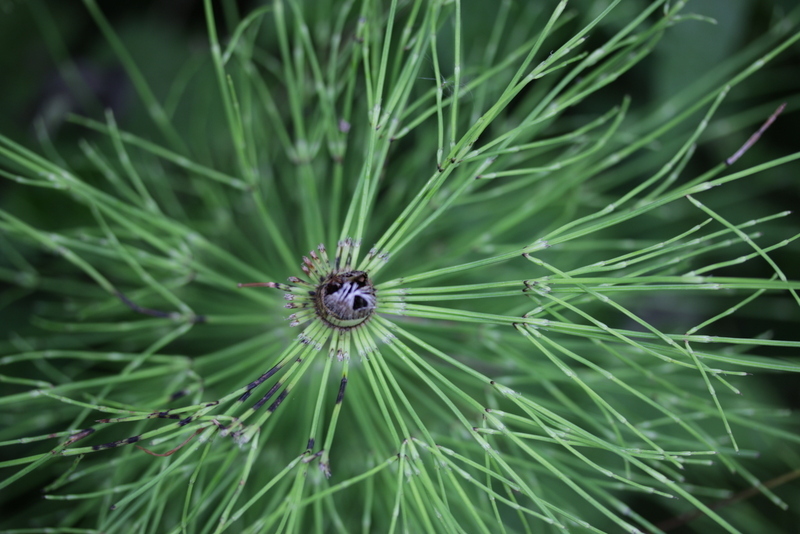 My photographs showed a plant with secondary branching and all my reference books said Giant horsetail only has primary branching. 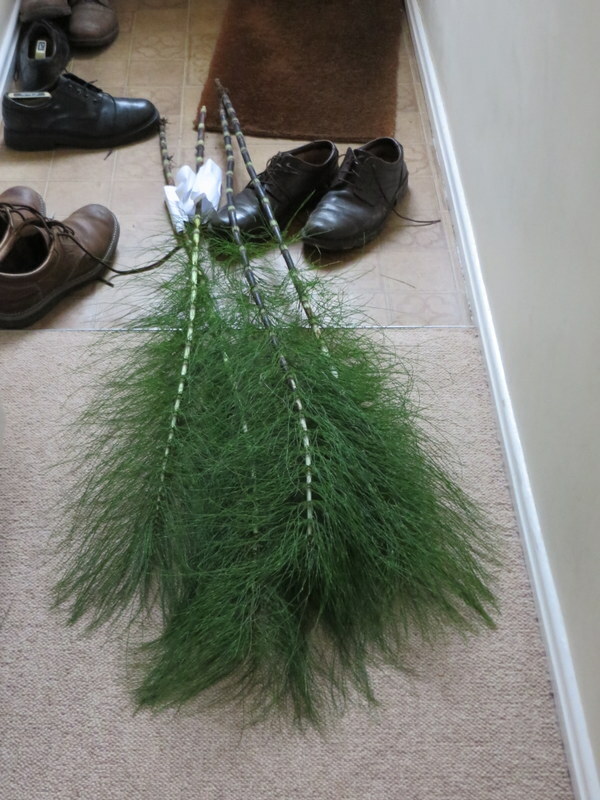 So I looked at hybrids – did you know Horsetails hybridize? No, me neither. 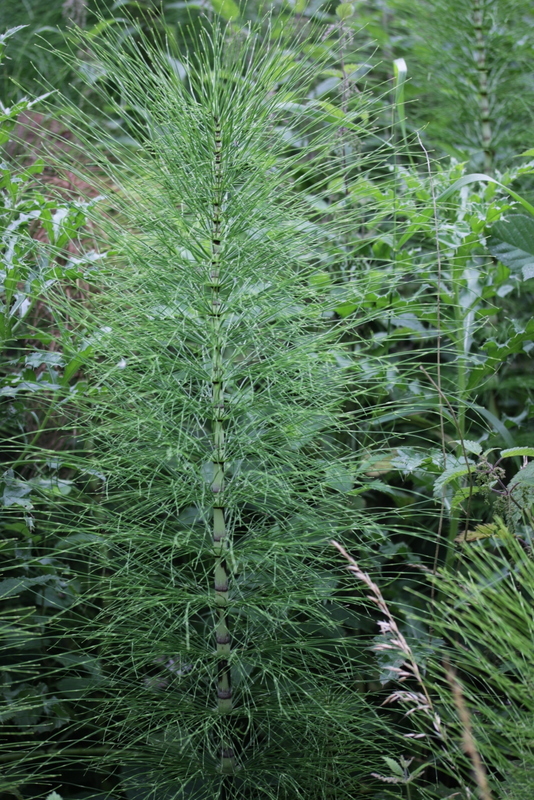 Anyway, there was a possible hybrid of Giant Horsetail crossed with Wood Horsetail (which does have secondary branching). I had a look on the internet to see what it looked like. 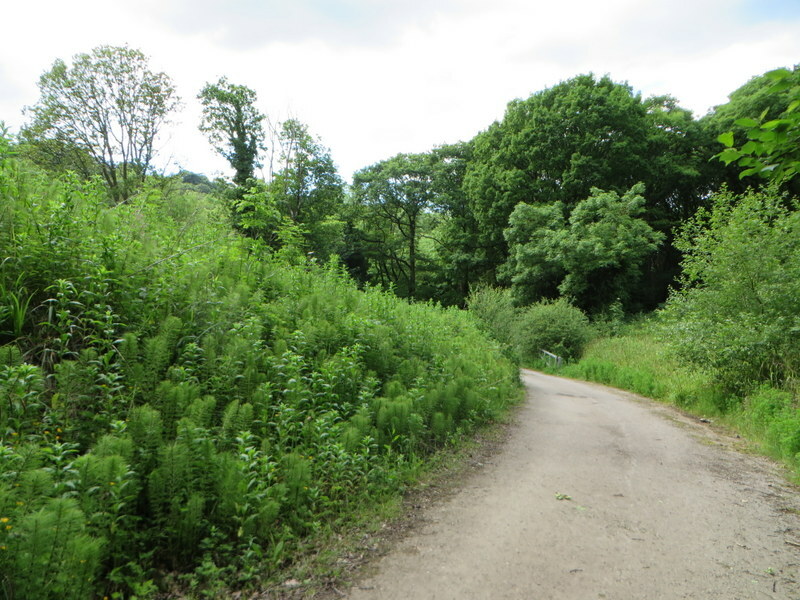 It is very rare – found only in two places in the UK. I went back to the wood, carefully collected a sample and pressed it. Once fully dried, I posted it off to the Natural History Museum for the attention of the national referee for Horsetails (through the Botanical Society of Britain and Ireland (BSBI)). …which just goes to show what can still be found if you keep your eyes peeled.